Amanda launched her newest chapbook Welcome to Earth: poem for alien(s) published by Bookthug at the Dusty Owl Reading Series 21 September 2008. 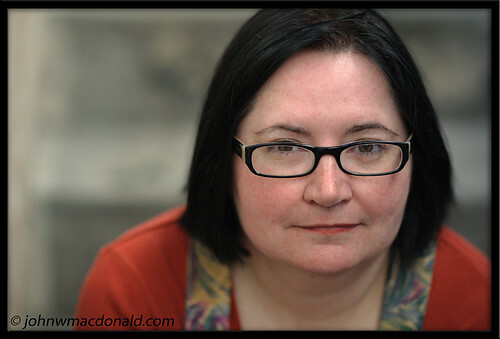 Amanda Earl's poetry has been recently published in Rampike (Windsor, Ontario), fillingStation (Calgary, Alberta), the New Chief Tongue (Mount Pleasant, Ontario), Peter F. Yacht Club (Ottawa, Ontario), some assembly required (pooka press, Vancouver, BC), Van Gogh's Ear (Paris, France). above/ground press published two chapbooks by Amanda in 2007/2008: "Eleanor" and "The Sad Phoenician's Other Woman." Her chapbook, "Welcome to Earth" is forthcoming from Bookthug (Toronto, Ontario). Amanda is the managing editor of Bywords.ca and the Bywords Quarterly Journal & blogs too much at amandaearl.blogspot.com and ottawapoetry.blogspot.com.